With an increased number of reports and discussions focused on the impact of automation on jobs, there is a clear (and growing) concern in many areas of the world. It is a concern that we first studied last year as part of our work with the ILO in creating the Future of Work report. This concern, at the time, was seen as misplaced in the minds of many of the executives and factory owners we spoke with. With the change in conversation over the last two to three months and the apparent increased sense of urgency we thought we would take a moment to revisit the issue of automation in the workplace. This time, we approach the topic from the perspective of labor, what are workers seeing, and how are they preparing for a future that many believe is inevitable. 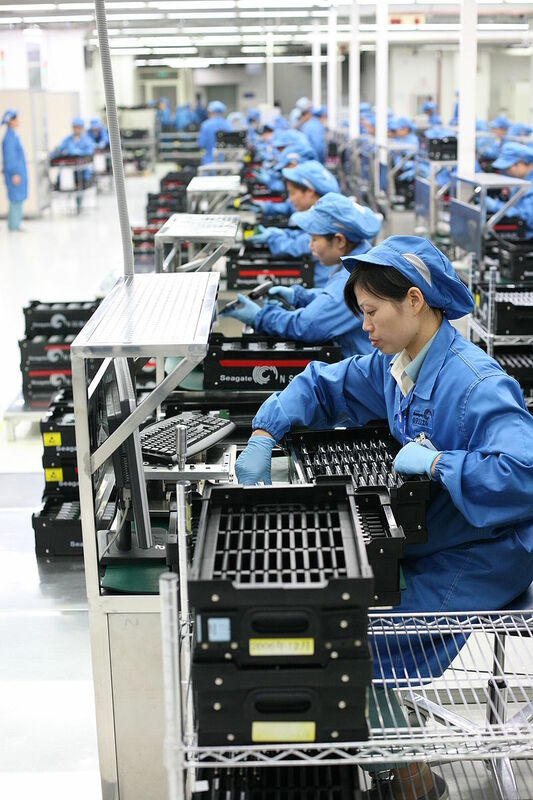 In 2016, Collective Responsibility published Labor in China, which addresses the changing labor situation in China’s manufacturing sector and outlines concrete actions for stakeholders and investors to take in the next decade. Factories relocating to labor-abundant regions. Therefore, to cope with the evolving manufacturing industry in China, industry actors are starting to look to automation for facilitating factory consolidation and efficiency development. These changes will have wide ranging impacts on the nature of work and the labor force — once vital to China’s past manufacturing boom. Before the Chinese New Year, we conducted a street survey aiming to understand migrant workers’ short- and long-term plans — particularly, whether the potential introduction automation is impacting their working lives. 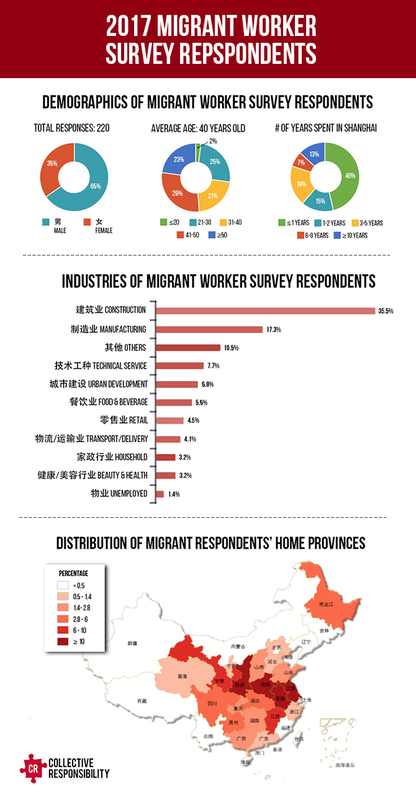 We interviewed 220 migrants, predominantly blue-collar workers, at the Shanghai Railway Station, Shanghai South Railway Station, Shanghai Bus Station and Shanghai South Bus Station. The migrants we surveyed mainly worked in the construction, manufacturing, and technical sectors. As shown in the map below, most of the workers come from central and eastern China. In 2016, the World Bank published one report claiming that 77% of work force in China are at the risk of being replaced by machines. Coupled with this, Citi and Oxford University also published a report claiming that China will be the biggest loser from automation. It seems the war between human and machine labor is on the horizon. However, the insights from manufacturing workers we interviewed were not as severe as those from the institutions’ report. 38 of our 220 respondents work in the manufacturing sector — around half of the respondents had yet to encounter automation in the workplace. What’s even more interesting is their differing outlook for the future of automation and jobs. Of those who did face automation, around 40% showed concern for their future job prospects — with the younger generation more worried than their elders about losing their job. Although the younger respondents were more worried about losing their jobs, they had more concrete plans for adapting to the future. Among those who worried for the impact of automation, the older respondents generally had no plans for alternatives, while the youth shared plans to change careers or get training. Is automation in place? How soon will the day machines replace human labor come? How will it affect the manufacturing industry? These are all questions that deserve thought. For our economic models, particularly those in the developing world, having a robust labor force has been a key foundation for increases in everything from GDP to urban lifestyles. With many of our systems geared to build the best workforce possible, it should come as no surprise that a lot of people are worried. For us at Collective, the speed at which the conversations have escalated are certainly something to pay attention to, however it is important to note that not all industries will be impacted in the same manner. As mentioned in our post Labor Displacement and Industry 4.0 in China, there are still a lot of hurdles for factory floors. Be it through the automation of cars or trading floors, the rate of transformation has the potential to be very disruptive – and will require stakeholders across the board to find ways to minimize this disruption. 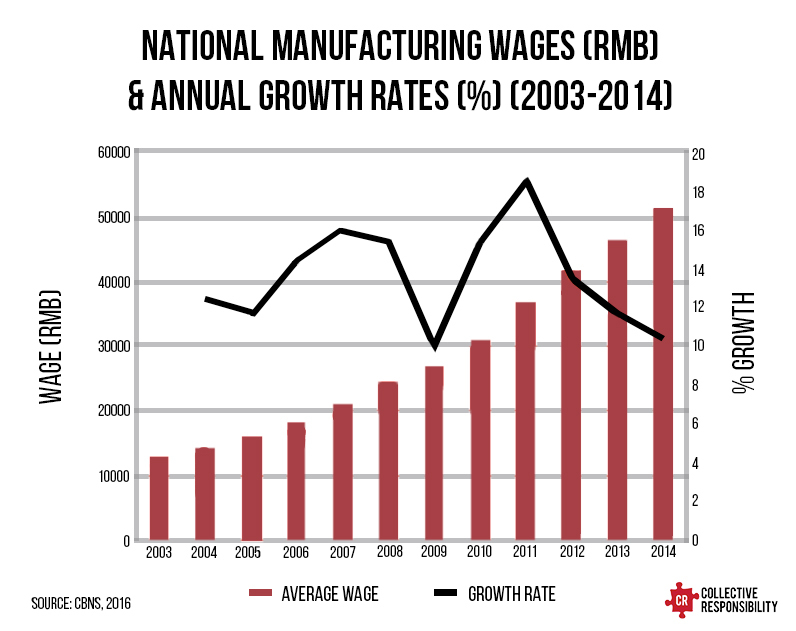 To learn more about Collective’s research into the future of labor and manufacturing in China, check out our Labor in China Report . For more articles in our migrant worker research, check out the Migration Tag. Follow us on social media to receive updates on our latest articles, reports, and events. Tags: labor, manufacturing, Migrants, migration, technology.